Elastic thread used as base material. Get ready to flaunt, ‘the girl with the pearl look’, because at Wishvilla pearls are not just for the nobility. The pure pearls adorning the hand could be the best gift for your beloved. Presenting the most ravishing set of pearl bracelet right from the heart of the city of Jaipur. The perfect pair just for the perfectionists. 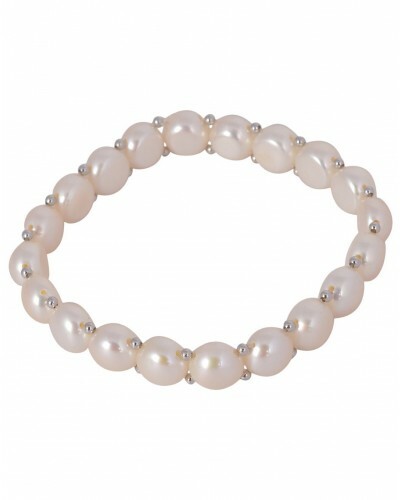 Purchase the most glamorous pearl bracelet for your loved ones. A promise of purity.